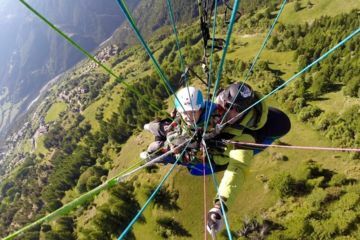 The school Incondition' Aile Parapente labeled FFVL, offers you tandems and paragliding courses supervised by passionate instructors, graduate of State. Paragliding is the easiest way to fly, accessible to all, from 3 years on, a few steps are enough for fitness or wool and smooth takeoff... 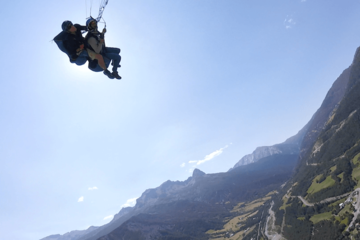 The vertigo does not exist in paragliding!